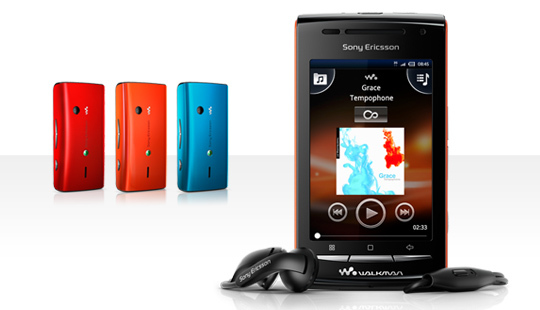 Sony Ericsson has announced the launch of its W8 Walkman phone in India and has partnered with Reliance Communications to make the handset available through an innovative ‘100% money back’ offer that will be available on the Reliance 3G network to all mobile customers. Customers will be benefited with a free Reliance 3G SIM with deep discounts on pre-paid offers for 12 months and 100% money back on post-paid offers over a period of 24 months along with the Android equipped handset. “Reliance Communications has always adopted business models that have benefitted customers across India. Equipped with the best 3G network in India, we have now collaborated with Sony Ericsson to take the 3G experience to a different level” said Mr. Mahesh Prasad, President, Reliance Communications. He further added “With the backing of the end to end superior IP network, customers will now be able to enjoy crystal clear video calls (without pixilation) and uninterrupted videos (without buffer time) through Reliance 3G. Check out the post-paid and pre-paid plans for the W8 handset.